Mirror file photo PSU’s Sean Clifford is more of a pocket passer. Sean Clifford knows who he is as a quarterback, and also who he’s not. 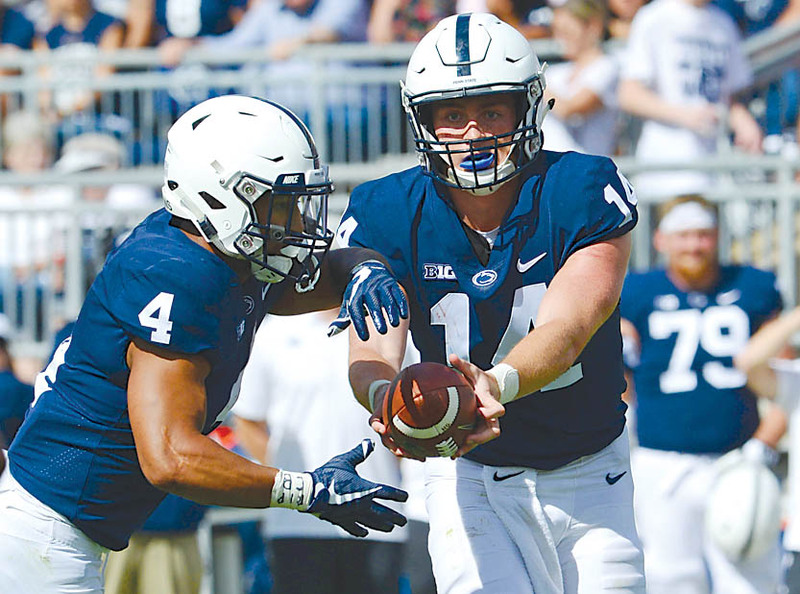 While Tommy Stevens is considered an excellent running quarterback who has to answer questions about his throwing ability, Clifford is viewed, for now at least, as the opposite. He’s considered more of the prototypical pocket passer who has to prove he can be mobile, as well. 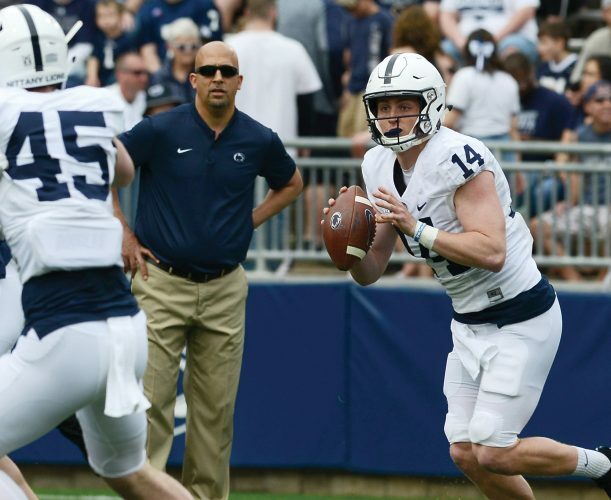 Stevens is Penn State’s projected starter in the fall, but with him limited following surgery in December, Clifford has been taking most of the first-team reps this spring. Clifford was asked to describe his playing style after practice Wednesday, and he mentioned how he’s been working on improving his mobility. “I love passing the ball. That’s why I play quarterback,” Clifford said, in a video posted at gopsusports.com. “But I think that, personally, I’ve taken it upon myself because one of (the) biggest criticisms coming in was that I can’t move as well as other guys. Clifford then delivered a funny line, trying to make sure people don’t get carried away with expectations about his running abilities. Clifford could wind up being the starting quarterback to begin the season if Stevens isn’t fully healthy or if he struggles and Clifford just proves to be better. That would be a difficult decision to make, however, for the PSU coaches since Stevens has bided his time as Trace McSorley’s backup for three years. But no matter who starts the season, Clifford should get opportunities to play and showcase his passing skills, which he did several times in mop-up duty last year. Clifford, a redshirt sophomore, said he’s gone through a lot of changes during his career at Penn State. He came in weighing 185-190 pounds and is now up to 218. He also says he’s gotten a lot faster. McSorley took all the first-team reps last year, and while Stevens was injured, Clifford got the second-team reps in practice. Now, Clifford is benefitting from being with the first team every day this spring. “(It’s) probably as big as you think it is,” he said of the importance. “Obviously it’s a lot faster. And with our defense — I would say is one of the best defenses in the country — it’s definitely a big step up. There’s a different feel for a football team, obviously, when it loses a starting quarterback. 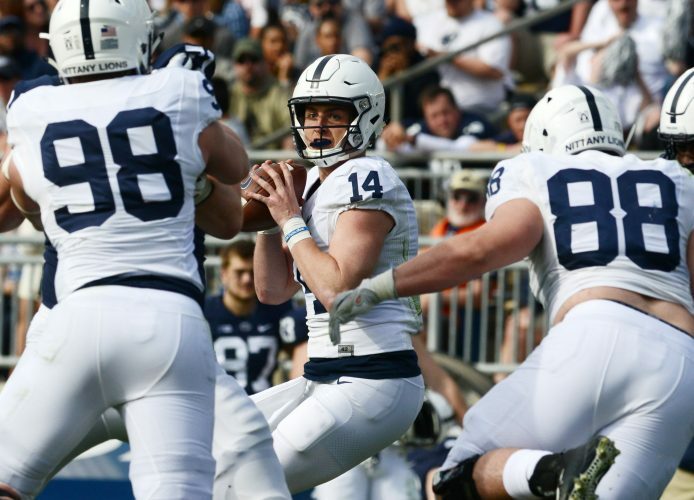 McSorley did so much for Penn State the past three years, but Clifford says the quarterback room is in good shape going forward. “It’s definitely weird when guys leave, especially a leader like Trace,” Clifford said. “I think everybody who talks about Trace knows how big of a leader and how big of an impact he made for our program. So I’m not taking anything away from Trace when I say that our room, we miss him, but we were ready for that next step.